The boy seemed the perfect target. He stood at the back of a group taking the tour of the London Olympic stadium, attention on the construction vehicles beetling up the huge ramp to the athletes' entrance, not on the thief watching him. The building was nearly finished and to my mind resembled a giant soup plate stuck in a wire salad shaker on a green tablecloth. All that was left to do was the last-minute landscaping and put in place the final touches before the world arrived for the games. This is about getting you out...I'm stealing you. Phoenix belongs to the Community - a gang of thieves with paranormal powers. Yves Benedict - an American student visiting London - is her mark. But Yves turns out to be more than just a target. He is her destiny. Her soul mate. But the Community owns Phoenix's past and it wants her future too. 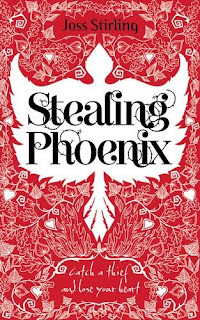 Well I loved Finding Sky last year and Stealing Phoenix was just as brilliant. I just can't get enough of this series. 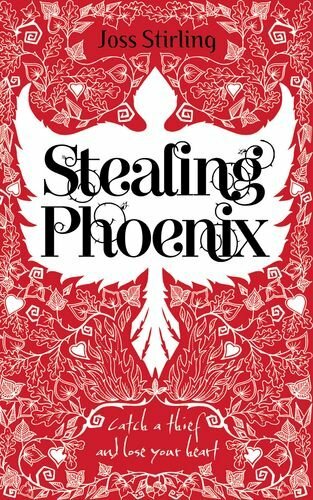 I may actually love Stealing Phoenix slightly more than Finding Sky, but that has a lot to do with the setting of the book around places from my childhood, making me instantly biased. The book is set around the Olympic village and mention places like Epping Forest, Lee Valley and Walthamstow which bring back such fond memories to me. The fact that the Olympics and Wicked were both mentioned, makes this book feel very real and relevant to today, though I worry that it might date the book. There is a very English feel to this book and it had a real Oliver Twist feel to it, yet with a modern twist. The Seer appeared to resemble Bill Sikes from Oliver, only much more sinister with his evil capabilities. Phoenix is living day to day and just about survives with her life. She is a petty crook, but she isn't doing it for the fun of it, she is doing it to keep alive. I love the way she tried to resist Yves, as he made every attempt to keep her close. She is definitely more feisty than Sky was. Yves is a lot more controlled and thoughtful than his brother, perhaps the geek of the family, but still irresistible. I think I actually prefer Yves to Zed, which makes me wonder if I will swap allegiance as each brother tells their story. When the whole Benedict clan arrive in London, the book just sparkles with a celebratory manner. They are such an enigmatic family, you are instantly drawn to them. It was really lovely to see how Sky and Zed had progressed in their relationship. This is the only series where I will accept instant love amongst Young Adults! I can't help but love the way the Benedict brothers find their soul finder and just click, like pieces of a magnetic puzzle pulling towards each other. As always, this series just keeps pulling me. The storyline keeps you turning the page. The characters are fabulous and draw you in. The Benedict family are beginning to feel like old friends. The plot is all wrapped up by the last page, even though you know their will be more books in the series. I am a huge Benedicts fan and I can't wait for my next installment of their story. I just can't get enough of these boys! Ashamedly I haven't read Finding Sky. I do like books though that are set in Britain, as I love being able to recognise the settings. I really should read this series. Raimy - you have no idea how many people I nagged to read Finding Sky when it came out. It was such a fabulous book too. Blodeuedd - thank you hun. I could find more though. Hannah - You have to read Finding Sky! It is totally awesome. This does sound like a wonderful series. Nice review.